Greenville Color Fillings - Dr. William W. Brown, Jr. If you’re an adult or older adult, you probably have a cavity filled with silver amalgam. Silver amalgam is a paste made of mercury and other metals that is used to fill big and small holes in the tooth. Amalgam has been around for so long because it is very affordable and very effective. But despite being incredibly strong and durable, amalgam is far from perfect. It is obvious and shows as an ugly black or grey stain against your natural, white teeth. Then there’s the possibility of mercury leaking out of the filling. As a safer and infinitely better-looking alternative, Greenville, SC dentist Dr. Brown offers tooth-colored fillings. Tooth-colored fillings are made of composite resin, a type of plastic that can be color-matched to your existing teeth. 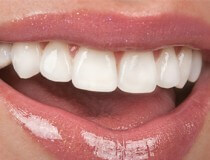 The result is invisible fillings and a flawless smile. Varying types of fillings you can use on teeth. There’s tooth colored, there’s a amalgam which are silver fillings, and there’s gold fillings, which are inlays, onlays, things that the lab makes that we submit to place. We haven’t done the amalgams, the silver fillings, in years. It used to be the standard for the back teeth, and it’s still used quite a bit from what I understand, in the country for the back teeth for fillings, and it’s a decent restoration. I’ve got a mouthful of them. I just don’t do them anymore. It’s probably been 15 years since I’ve done an amalgam, in fact I would probably have to go back and think about how to do it anymore if I had to do one. But we primarily use the tooth colored fillings. It’s a composite, plastic material essentially. We use it on the front teeth obviously, so it blends it, but we use it on the back teeth too. Those materials have changed dramatically since I got out of school. Everything has changed dramatically since I got out of school. But when I got out of dental school, we used those on the front teeth, we never used them on the back teeth. They leaked, they didn’t hold up, no way would I put them back there. Now it’s my restoration of choice. My son had to have his first filling, much to his chagrin, a while back, and that’s what I put in his mouth, the tooth colored filling. We use gold sometimes too, gold is an excellent restoration. It costs a lot more, almost like doing a crown, but it’s an excellent restoration. It’s not something we do a lot of though, occasionally patients request it. The bigger the filling is, the more likely is we’ll talk about it, but then sometimes people are like, well I don’t want gold in my mouth, I don’t want that to show, I want porcelain. And you can do porcelain, lab fabricated porcelain fillings too. Porcelain inlays and onlays, kind of like crowns but you save a little tooth structure and in most cases are the cracked tooth. The more conservative we keep what we do on the teeth, the better. Saves more good tooth. But the tooth colored fillings is what we do probably 95% of the time. They’re good and strong, they bond onto the teeth, folks who have bigger fillings, it helps to strengthen it some. It’s kind of a step short of a crown sometimes. Sometimes a crown would be the ideal treatment; for a variety of reasons the patient can’t do the crown right now, so we do the tooth colored filling to try to help strengthen it and hold them for a while. The patients like it because it’s tooth colored, hey it looks like my tooth. That’s a nice side benefit for me, but from my standpoint I like the fact that it bonds onto the teeth, it seals well and helps strengthen the tooth. Good durability. Amalgam and cast metal are still the most durable restorations, but composite resin is comparatively durable and resistant to fracture when used to fill small to medium-sized cavities. Composite fillings designed at Brown Dental Associates are strong enough to be used on the back teeth, not just the front. Stronger teeth. Metal fillings require a significant portion of the enamel to be removed because metal needs enough space for a secure fit. Tooth-colored fillings, on the other hand, bond directly to the enamel, making the tooth stronger. In many cases, less enamel is also removed during tooth preparation. Versatile restoration. Composite resin material can be used to fill cavities and rebuild chipped, broken or cracked teeth. No mercury. Tooth-colored fillings are mercury-free and are great for people with metal allergies. Are tooth-colored fillings right for you? Find out today! 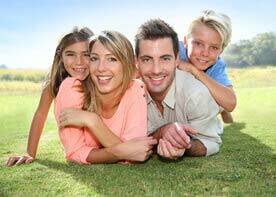 Call 864-408-8873 or click here to reqeust an appointment with your dentist in Greenville, SC.